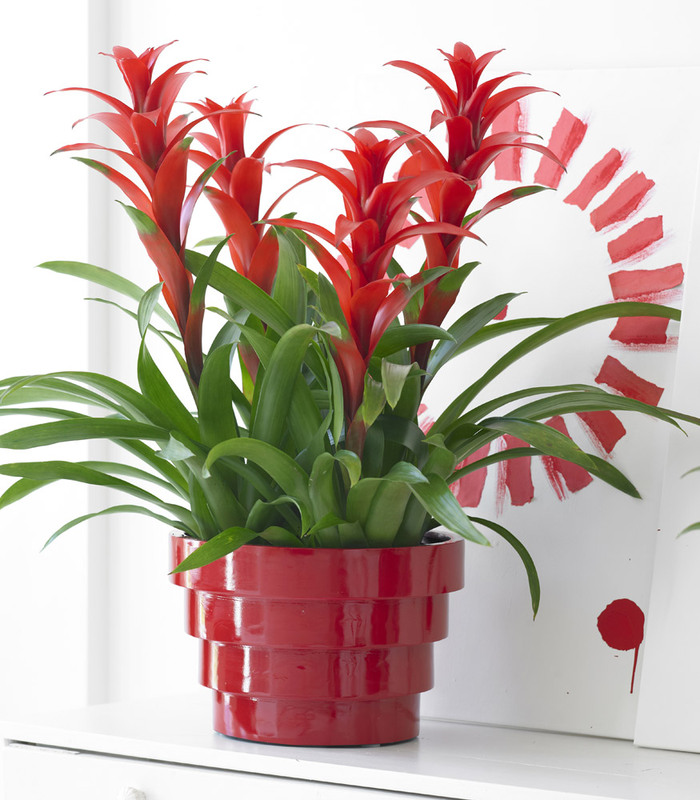 This tropical plant has an infectious affect on everyone that comes across it. 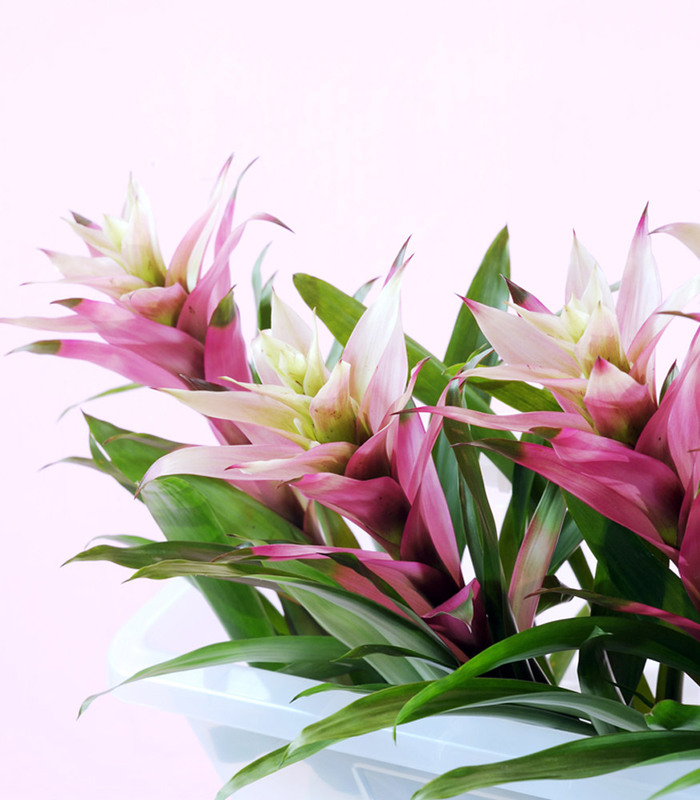 The most striking thing about Guzmanias are the brightly coloured bracts that grow out of a beautiful rosette and together form a kind of funnel, even though other shapes are also possible. 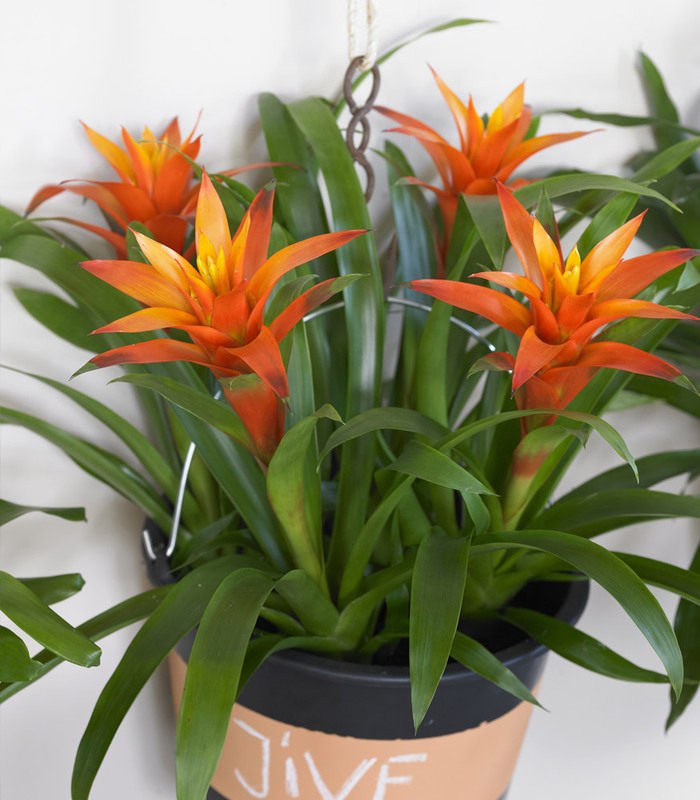 Between the bracts you will see stunning flowers emerging. 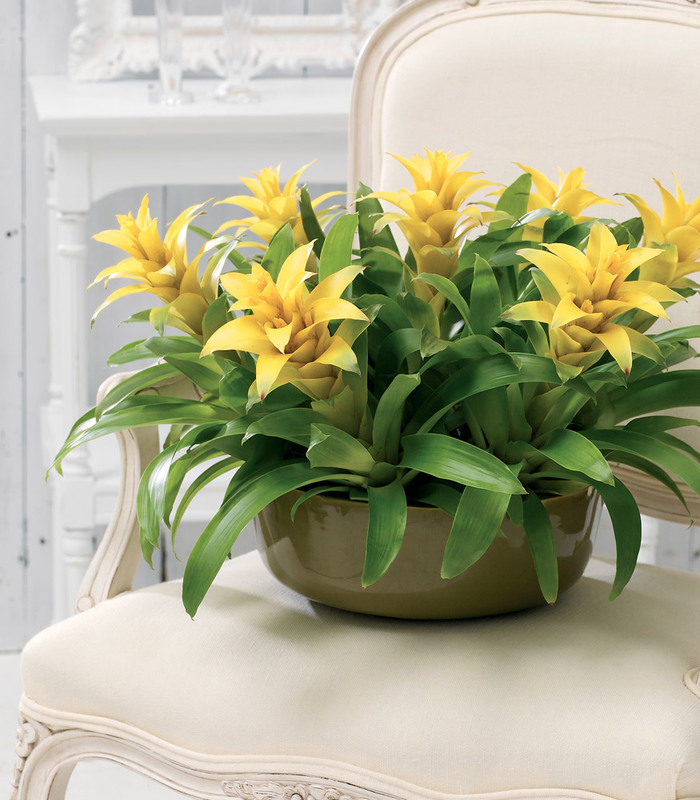 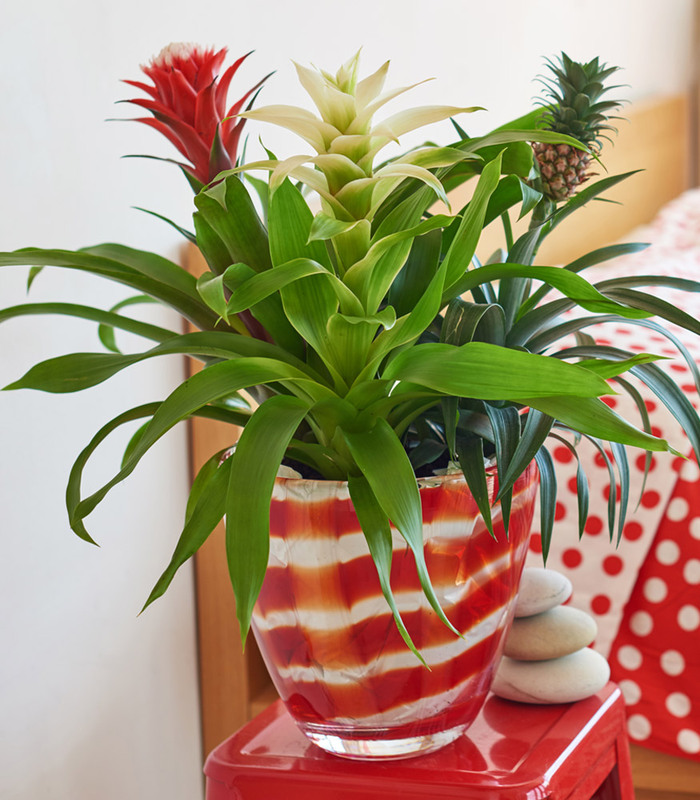 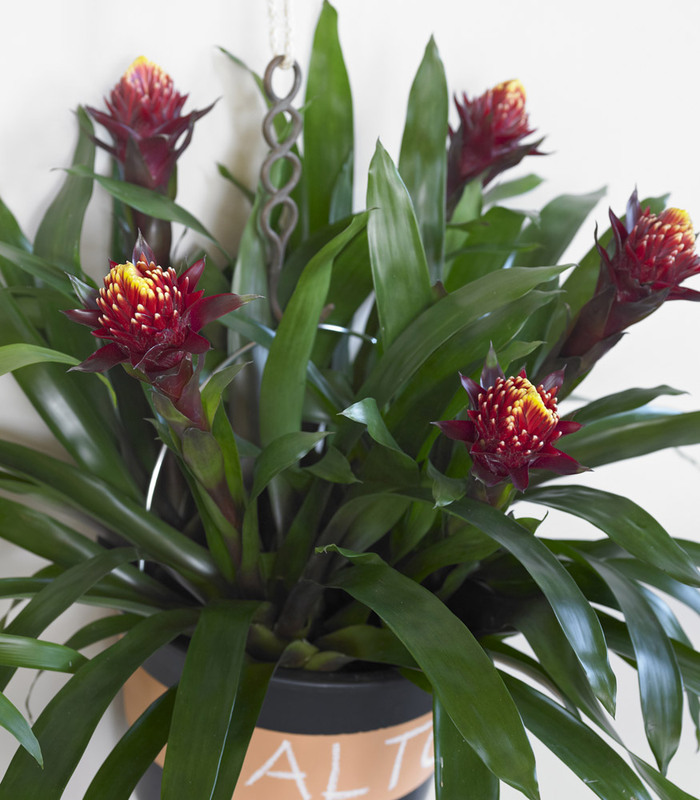 The Guzmania comes in an enormous number of colours and shades, such as yellow, red, white, pink, purple, or variegated. 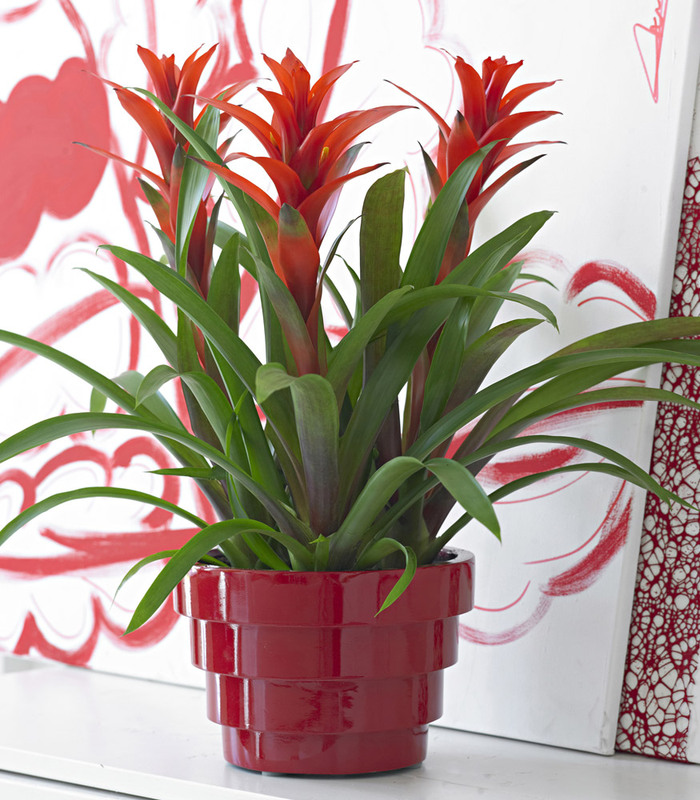 These bright coloured plants with big flowers or fine branches hail originally from Ecuador and Colombia. 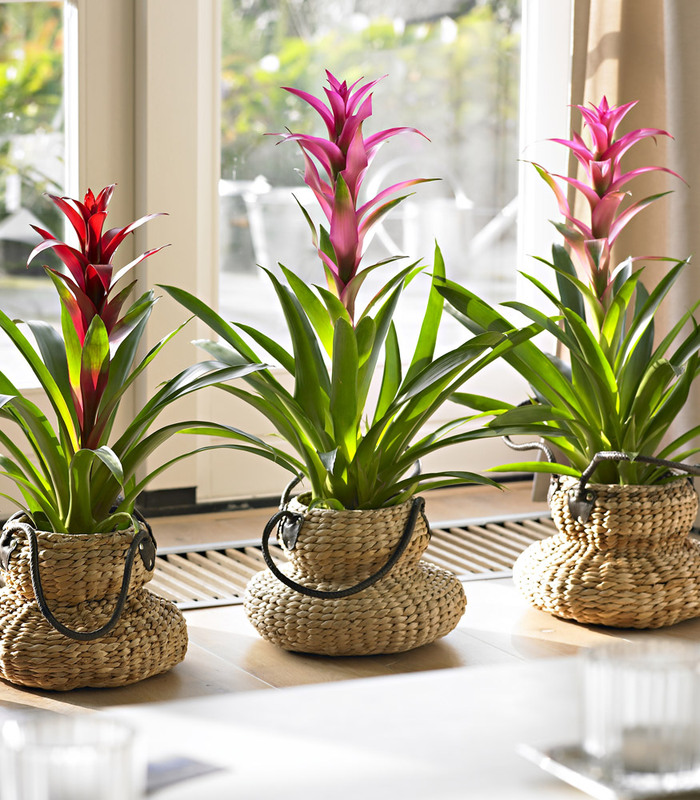 In the wild this plant grows on trees (epiphytic)feeding via its hanging roots, but is not a parasite.